Is it time for you make a career change? It's natural to want things to stay the same. Most people have a hard time with change because it means upsetting their beloved routines. It has to do with comfort – change by its very nature is uncomfortable, it shakes things up and pushes us outside of our routines. This fear of change often prevents professionals from leaving a job that no longer suits them, explained Harvard Business Review (HBR) contributor Tomas Chamorro-Premuzic. Research shows that even when people feel disconnected from a company's culture, have low levels of engagement and possess a generally negative mindset in the workplace, they tend to stay in their positions to avoid change. But valuing comfort over change stunts our growth not only as professionals but as human beings. It's important to recognise when it's time for a change. From there, you can begin to work towards enacting a new chapter in your life. Let's take a look at some of the most glaring signs that it's time for a new job. We all have days where we are not 100 per cent into our work. However, when this occasional lack of involvement becomes a daily occurrence, chances are there is a bigger problem. You want to go into your office every day wanting to give your best. If you feel too checked out to perform to the best of your ability then it's likely that your heart is not in the job anymore – which is bad for both you and the business as a whole. Professionals crave continuous learning and when they don't receive it, they get bored. According to HBR, much of your happiness at work stems from having a constant challenge. Professionals crave continuous learning and when they don't receive it, they often become complacent and bored in their positions. If you ever feel like you've stopped learning new skills or talents, you have probably reached your growth potential in your position. When you start to see any of the above warning signs it should be a serious indicator that a change is in order. Taking a new direction in your career can be daunting but it is necessary for your continued development. 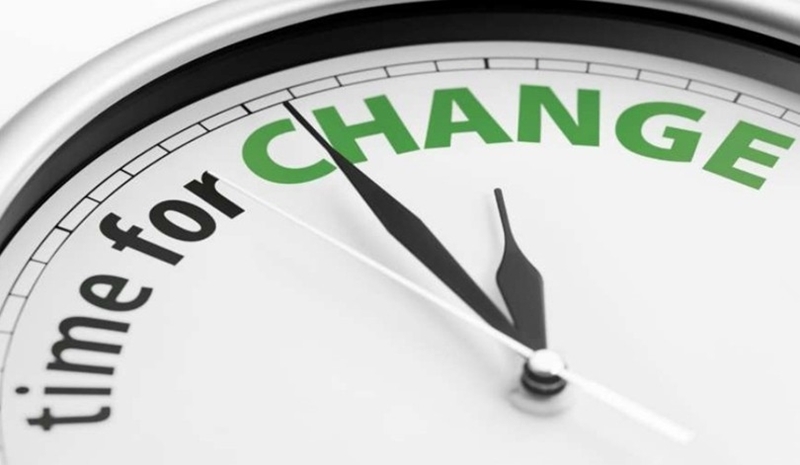 If you want to learn more about how to effectively manage and embrace change, check out Implement Online's course Taking Charge of Change.